This was rural Buckinghamshire in 1939. 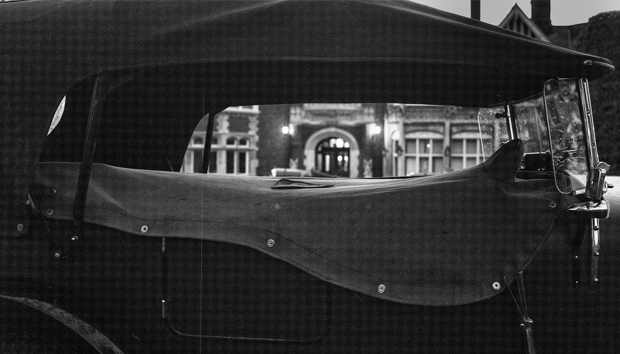 The blackout was in full-swing and undercover of pitch darkness, some of the most brilliant minds in Britain were summoned to undertake one of the most covert missions of World War II. Few knew where they were being sent, or what they were letting themselves in for, but once they’d arrived, they knew they were in it for the long-haul because they’d signed the Official Secrets Act and it was vital nobody discovered out what was taking place. This initiative is said to have shortened the war by two years and also led to the development of the very first computer. 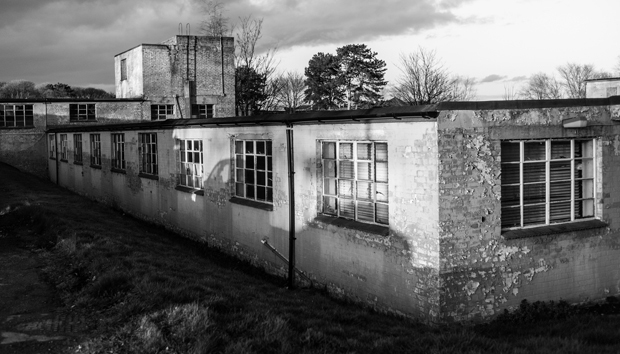 Bletchley Park was a former country house and grounds taken over by MI6 in 1939. During the conflict, which lasted till 1945, it was used to house a nine or ten thousand strong (all records were destroyed) code-breaking operation that remained a staunch government secret until the story was leaked in the 1970s. Arranged over a series of numbered self-contained huts – which were in reality sprawling oblong, prefabricated buildings – experts in the fields of Maths, Linguistics and Classics were systematically set to work on the incredibly tedious day-by-day task of cracking Enigma messages. These were the encrypted missives, sent via Morse code, by the German military and other members of high command, including Hitler himself. The organisation of the place was remarkable. Like a modern business, the park operated on a 24/7 shift pattern where code-breakers worked in revolving stints of 8am to 4pm, 4pm to midnight and midnight to 8am and were shuttled by coach to their various billets in the neighbouring villages. Each part of the operation was entirely separate. Nobody knew what was going on elsewhere. Yet the minute-by-minute reality of staring at number streams, trying to isolate patterns, eventually resulted in machine automation and technological advancement as never seen before. 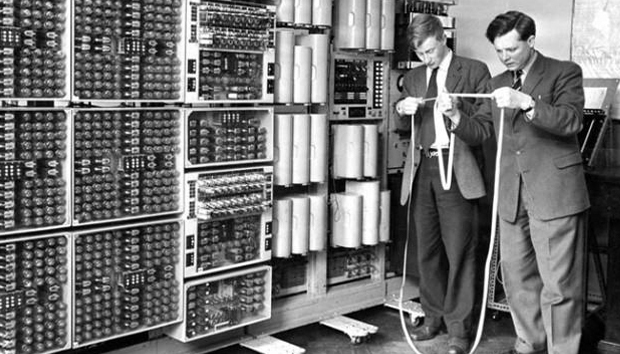 The now famous first computer, Colossus, emerged from this system, via the slow, laborious step-by-step development of various calculating machines. And as the need for these machines escalated, the first computer centre was built to house them in the shape of Block H. In 2007 this was turned into the National Museum of Computing. Today Bletchley Park is no longer rural or isolated and is instead, lost in the confusing road network just south of Milton Keynes. Yet the labyrinthine war-time buildings are still redolent of the 1940s even if they are now firmly geared towards the future. This weekend the museum opened its first free Weekend Codability Project, sponsored by Ocado Technology. Due to run until August 2015 this is part of the Code for Life initiative which aims to inspire the next generation of computer scientists. But the thing that makes this really different is it puts new technology firmly within its historical context. The importance of this cannot be underestimated. If you read any biography of the early computing pioneers – Steve Jobs by Walter Isaacson for example – what you see is childhoods spent tinkering in garages. These individuals took pieces of kit apart, studied them, got to grips with their working parts and came up with their own developments. This was simple enough – if you had the right mind for the job – because the technology was relatively primitive. Each device component was fairly large and once you grasped the principle behind the construction, the whole thing made perfect sense. What wasn’t so apparent, of course, was the sheer potential in these early machines, which is where those early pioneers came into their own. Today, the situation has completely reversed. The potential is self-explanatory. A standard smartphone has greater computer power than the machines which drove the first NASA space missions. Yet how it all works is a little bit less obvious. The parts are now minuscule and the sophistication behind each piece of disposable, every-day technology, is (for many) almost beyond comprehension. This is what makes this latest initiative between Ocado Technology and the National Museum of Computing so relevant. It presents a journey through computing history from massive machines - based on elementary maths - to the beautifully-packaged wonders we see today. It also shows children how to code based on straightforward building blocks and provides them with the online resources to continue their learning once they have returned home. Our tour guide round the museum is a man named Robert Dowell. He used to work in IT, is volunteer 99 at the park and extremely passionate about the history of computers within the human context. His tour includes the story behind the rebuilt Colossus (designs were burnt post-war so this is a composite reimagining), the reconstructed EDSAC which dates back to 1949, the principles behind the Harwell Dekatron (“the oldest original working machine”). Plus most other notable IT developments from then onwards. “Was that from Hatfield Poly?” asks another man on the tour, in reference to one hulking piece of 1960s kit: “I think I programmed that one”. This is a fascinating glimpse into history as the whole room looks like it’s filled with industrial scale Bakelite kitchen equipment. Impressively the museum places a real emphasis on women in IT with a whole room, curated by Google, dedicated to this subject. “Look at this photo” says Dowell referring to a snap of an IT team from the 1950s boasting a 50/50 gender split. Since then there has been a “sea change in how computers are perceived as gender specific,” he continues. This building is also a working archive complete with every copy of Computer Weekly ever published including the very fragile first edition from 22nd September 1966. But the really important part of all this is that in amongst all the ancient mainframes, calculators and batch-processing machinery is a training centre for kids. It is not compulsory to take a tour, the equipment is simply there to see if you want. But this training centre allows any children, under 16 year of age, to drop in for an hour at the weekend, experiment with the 1980s BBC Micro system, try Raspberry Pi and use the modern laptops pre-loaded with Ocado Technology’s Rapid Router. It also includes the fascinating BBC Doomsday initiative “an ambitious project [launched in 1986] to record a snapshot of everyday life across the UK for future generations”. “And are the girls as keen as the boys?” I’m especially curious about this as the shortage of women in IT is something we’ve conducted our own research into, and as it is such a running theme through the museum. Dowell is admittedly a little cagey on this point but stresses more than once: “girls are more suited to problem solution than boys and less likely to get distracted,” in his opinion this makes them better coders. He tells us, one girl was caustically disinterested in the Colossus until he asked her what she’d do without her mobile phone and then she suddenly understood the point. You can’t force children to learn but you can highlight why something might be interesting. And this is why I think this is an excellent undertaking. The whole early history of British computing sits at this centre at Bletchley Park. It reveals exactly where 70-years of - initially slow - innovation have taken us. But it also underlines just how much this trajectory has escalated in the last few decades. Who could have pictured an iPhone in 1944? Now nobody knows what the children who learn to code here will have achieved by 2084… but if the past tells us anything, it will be totally beyond our comprehension.